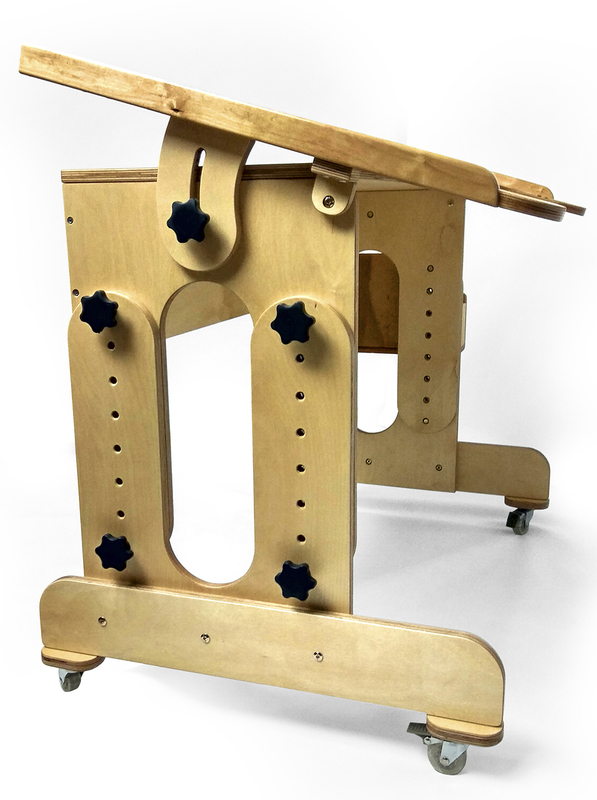 School desk for people with disabilities "Exclusive"
The desk for disabled people "Exclusive" is an effective tool for the rehabilitation of children suffering from cerebral palsy. 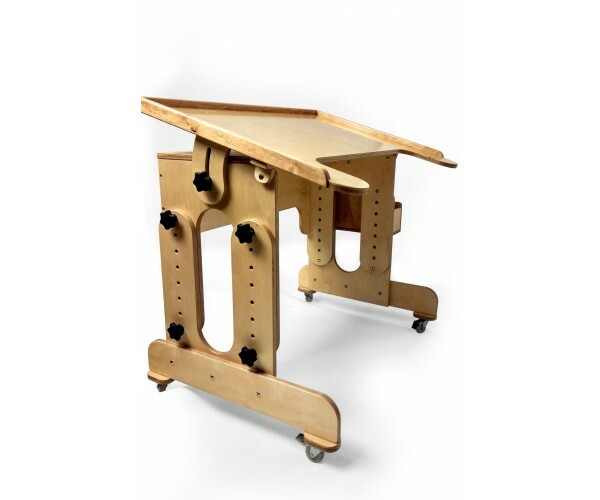 Thanks to the adjustable surface of the tabletop and frame, the table can be customized exactly according to the age and needs of the child. 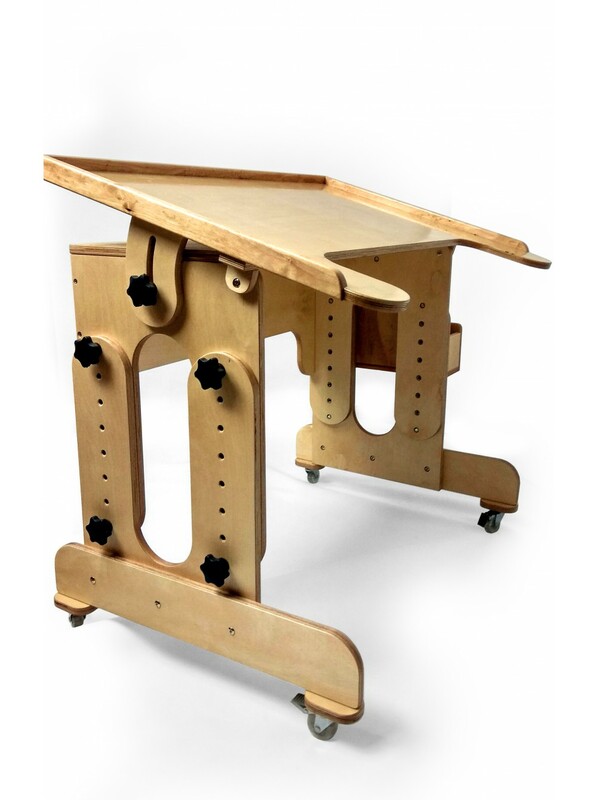 It is convenient to use both in a sitting and standing position, complete with any chair or wheelchair. 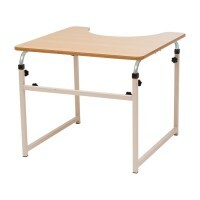 The slope of the table top and side rails provide additional comfort for working at a desk. 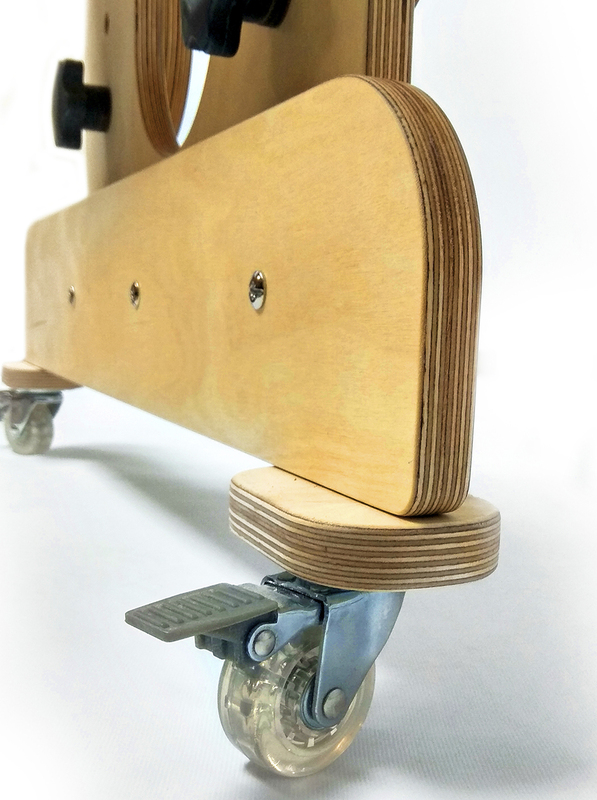 The product is made of natural, environmentally friendly materials, equipped with wheels with parking brakes to move the table. 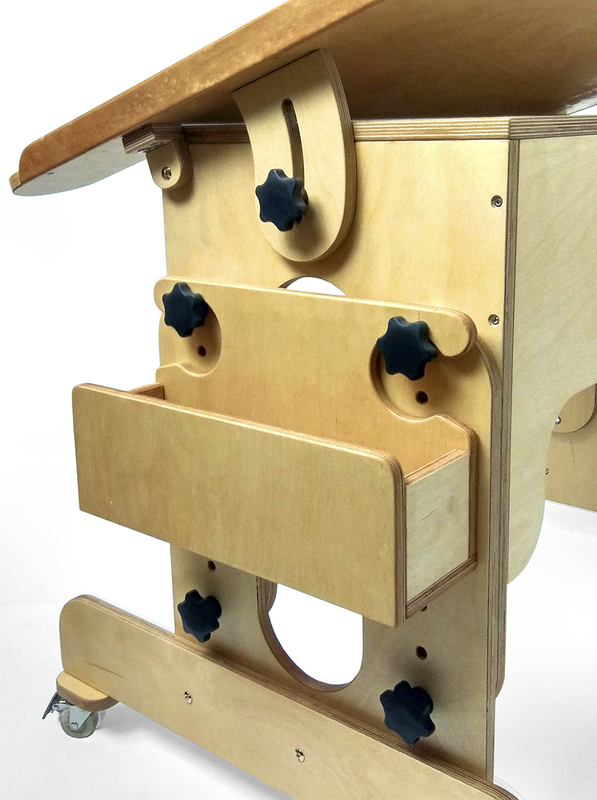 The desk has an additional organizer for accessories that can be attached from the side. 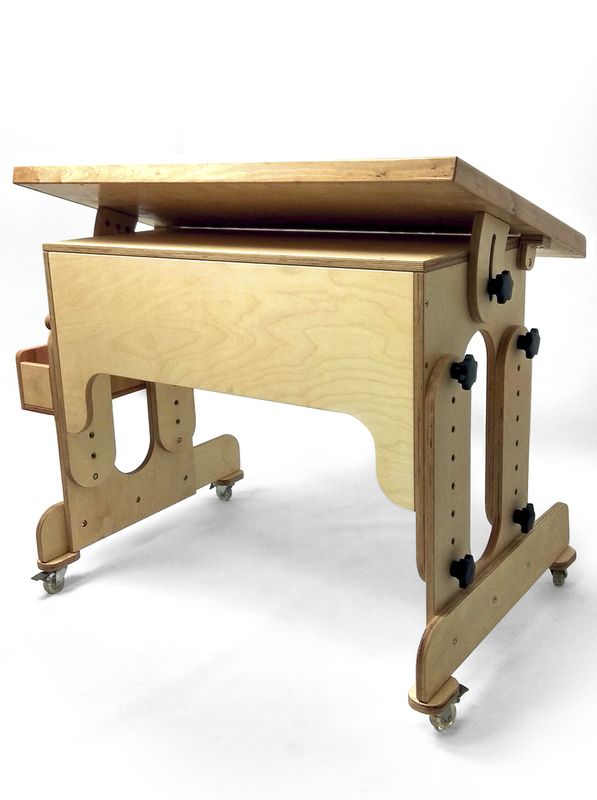 The price is for a specific model of the desk. 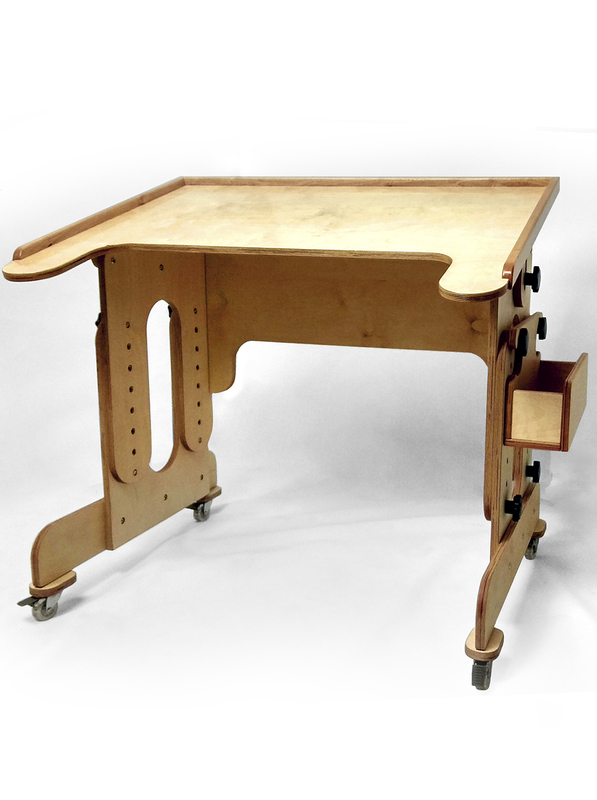 We make desks for people with disabilities of any complexity and for any needs. 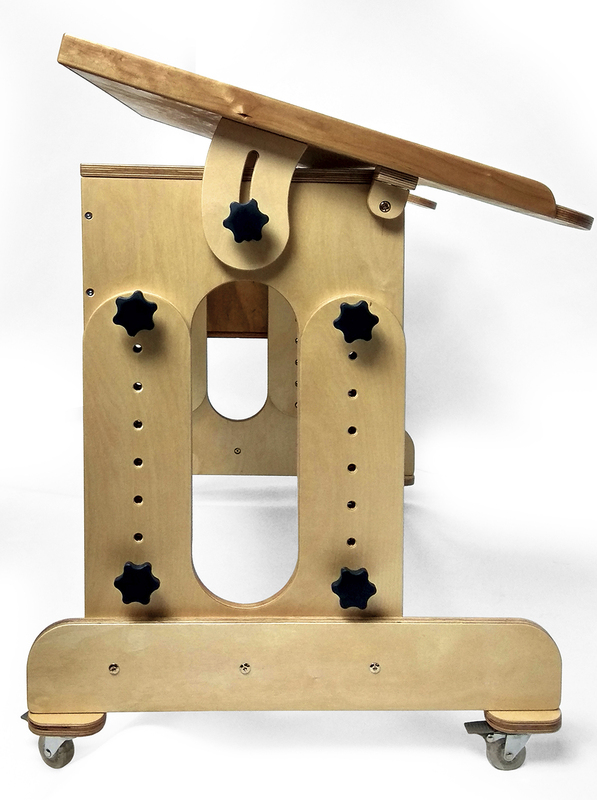 The price in this case is calculated individually and depends on the complexity of the order. 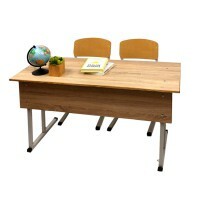 School desk with chairs double "Garant"
School desk with chair student's single "Garant"